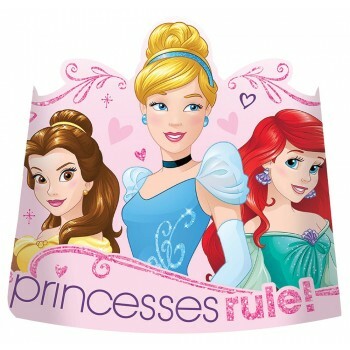 Let her know she's princess for the day with a Disney Princess tiara! 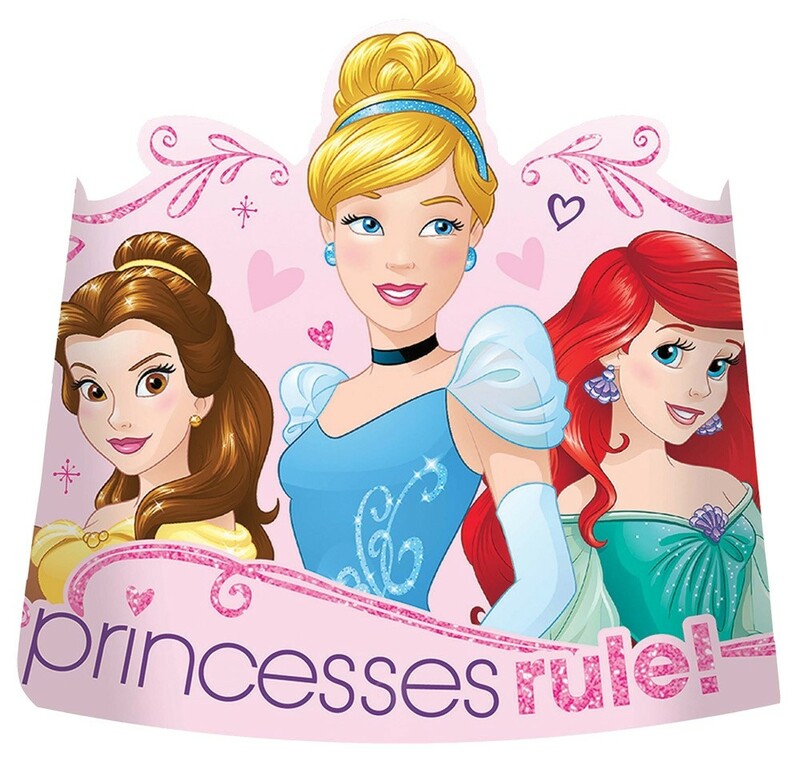 Just the thing for the birthday girl and her friends, these Disney Princess cardboard tiaras feature 5 Disney Princesses - Tiana, Belle, Cinderella, Ariel, and Rapunzel! With attached elastic chin strap they'll stay on throughout the festivities. 5" high, 17" around, fits most children. Comes 8 per pack.